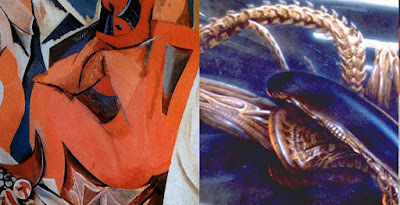 Alien Explorations: Alien Resurrection: Arthur Lee's Alien Warrior references "Les Demoiselles d'Avignon" (1907) by Pablo Picasso? 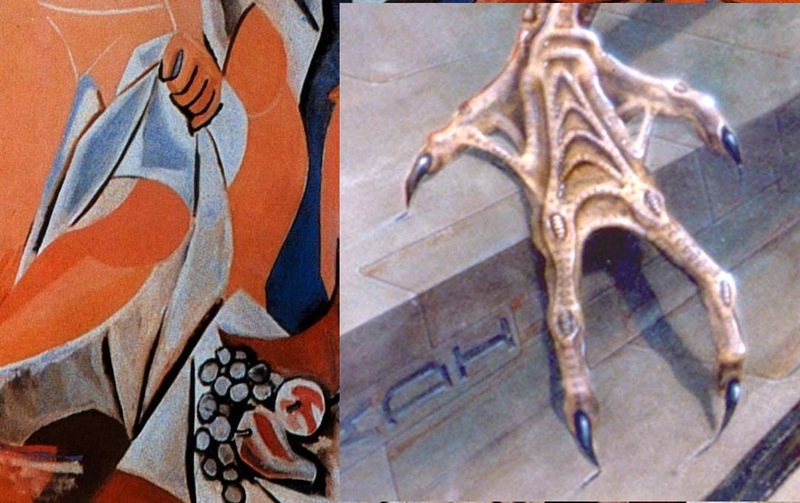 Alien Resurrection: Arthur Lee's Alien Warrior references "Les Demoiselles d'Avignon" (1907) by Pablo Picasso? 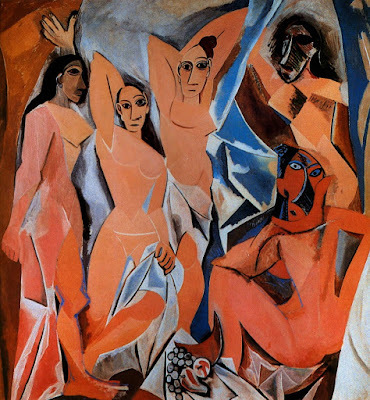 a) I had for some time had the idea that there was Picasso-esque or Cubist feel to Arthur Lee's illustration and on July 29th 2018, having watched the series Genius, I realised the possibility of the alien illustration and Picasso's "Les Demoiselles d'Avignon"
b) The arms of the upper middle woman become the right limbs of the alien beast. c) Cloth held by woman on the mid left turns into a hand. 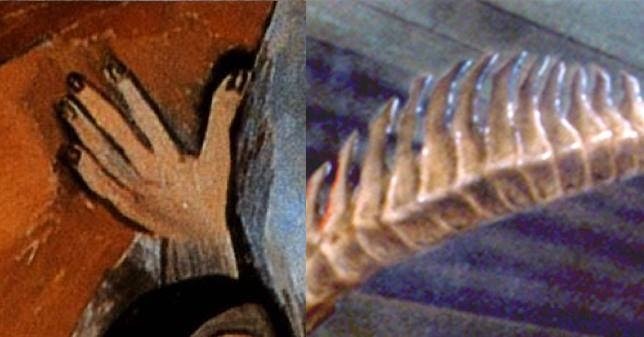 d) Fingers from the hand on the upper left turn into fin like ribbing along the end of the tale. 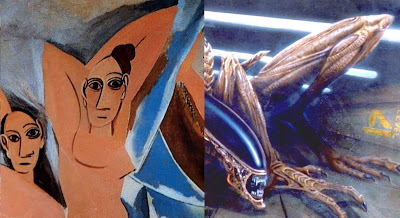 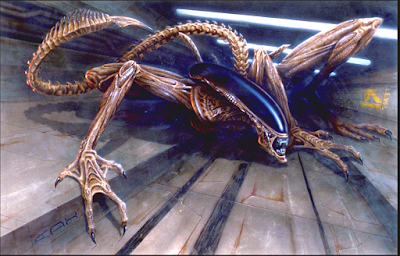 e) The buttocks of the crouching woman on the bottom right becomes the chest of the alien, her upper legs become its upper arms.